Many of us find it hard to concentrate at work. It’s easy to get distracted these days by all kinds of things. The world we live in is full of distractions. Panasonic has an unusual idea about how we can block out some of these distractions. Panasonic has taken the wraps off a device called the Wear Space. It was created by the company’s design studio Future Life Factory, and the prototype was shown off at SXSW earlier this year before it was recently launched on Japan’s crowdfunding platform. The device has been accurately described to be a horse blinder for humans. 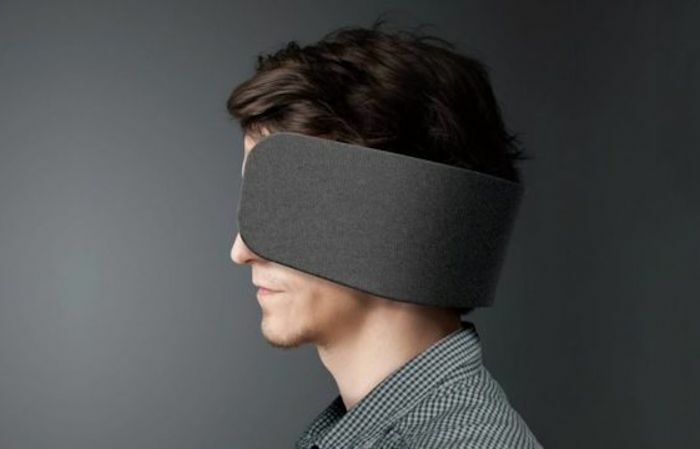 This will protect the wearer from distractions, and but there are also headphones built into they will help with noise distractions as well. They aren’t very fashionable that’s for sure. Speaking to Deezen, Panasonic said, “As open offices and digital nomads are on the rise, workers are finding it ever more important to have personal space where they can focus. Wear Space instantly creates this kind of personal space – it’s as simple as putting on an article of clothing.” The Wear Space is priced at $260. But you pay a heavier price in ridicule from your coworkers I’m sure.